Combine chicken, prawn, cornflour and salt in a food processor and pulse until just combined (be careful not to over process, you want the meat to still be textured). 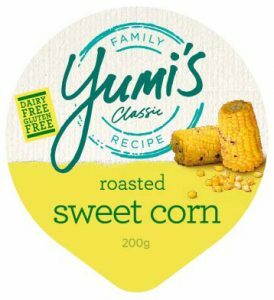 Transfer mixture to a bowl, add Yumi’s Roasted Sweet Corn dip, chives, soy sauce and a pinch of white pepper and stir to combine. Serve topped with coriander and accompanied by sesame oil and chilli oil. 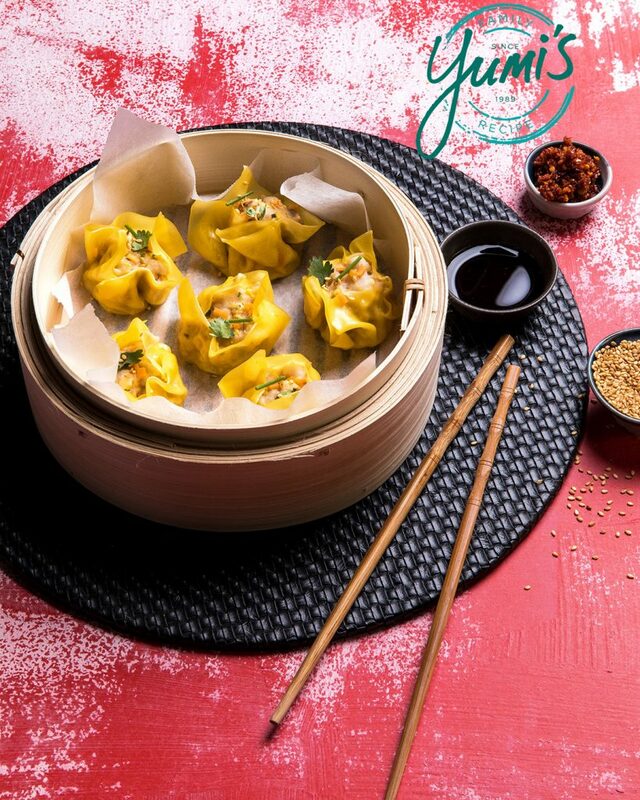 *steamer baskets and wonton wrappers are available from Asian supermarkets.